Healthy foods are the craze of consumers. It seems like we’re reaching for any label that says low-fat, fat-free, no trans fat, gluten-free, all-natural, organic and the like. The problem is that food manufacturers can label their products with these terms without them having merit. For example, “organic products” may only have one or two organic ingredients in them, which is why you need to look for 100 percent certified organic if that’s something that you’re interested in pursuing. 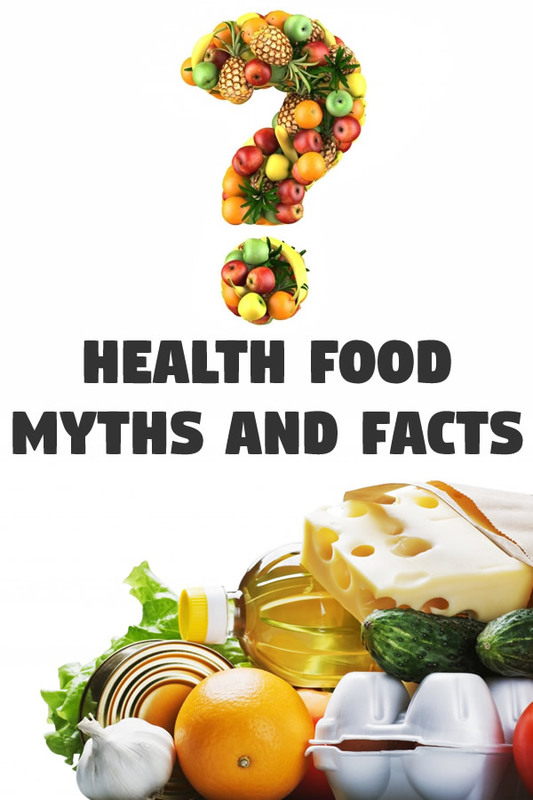 Other products are marketed as being healthy, when in fact, they’re loaded with artificial ingredients and chemical fillers that are linked to health problems and certain types of cancers. It’s time to get real about the products we’re filling our shopping carts with and the ingredients we’re putting into our bodies. When you become a smart consumer, you’ll know to turn over the product and read the ingredients instead of relying on the misleading label. Here are the biggest offenders of ‘healthy foods’ that aren’t so healthy. Even with public knowledge that sports drinks aren’t as good as they claim to be, people spend $5 billion each year on these drinks to make the most of their workout. So what makes electrolyte drinks bad for you? First, they claim to keep you hydrated, which is important during workouts where you should be drinking 4 to 6 ounces of water for every 15 minutes of exercise. Yet research shows that glucose drinks do not hydrate the body any better than water. In fact, there is salt added to these drinks, which makes you more thirsty. You then end up drinking more of the sports drink to keep hydrated because you feel thirstier. So while you may be drinking more Gatorade than water during your workouts, it’s not for the reason you think. And what’s the deal with the electrolytes that are supposedly replaced in our body during a strenuous workout? This is the big selling point for sports drinks, but their claims have little merit. First off, you would have to work out for three to five hours to lose enough electrolytes to deprive your body. Even then, a sports drink wouldn’t be enough to replenish these electrolytes. Your body will replenish electrolytes and salts by eating a healthy diet. Also keep in mind that sport drinks contain large amounts of sugars and calories that aren’t necessary. You can get more hydration for less money and no calories when pouring from the faucet. Smoothies and fruit juices are often associated with healthy snacks, mainly because they have a wholesome image for being made from fresh fruits. While some smoothies are indeed healthy and incorporate a variety of fresh fruits, flaxseed and skim milk, many more smoothies are unhealthy and add an unnecessary amount of calories to our daily limit. Looking at smoothies specifically, many have added sweetness from chocolate syrup, added sugars and full-fat milk. When going out for ice cream, don’t think that eating a smoothie is your ticket to a healthy snack; you may be getting the same amount of fat and calories from an ice cream sundae. Your best bet is to make your smoothies at home where you can control the ingredients. Fruit juices are basically water and sugar, and while in moderation these drinks are okay, once you pass this threshold, you’re basically adding on empty calories without getting any nutritional benefits. It can be hard to think that these drinks that are made from “100 percent fruit” are so bad, but many contain more calories and sugar than soda, so we must account for them in our diets. The world has become focused on whole grain products because they are supposedly better for you. The problem is that not all whole grain products are the same, and if you don’t know how to tell the difference between true whole grain and whole grain knockoffs, you won’t be making the right choices for your health. The problem is that it’s easy to be fooled since many items have ‘whole grain’ slapped onto them. It’s not just breads and bagels to watch out for but also cookies, crackers and cereals. The reality is that most products you’re looking at use the same ingredients, but with a pinch of whole wheat. Therefore, the product can be listed as a whole grain, even though it still contains mostly bleached flours. These same foods also contain other unhealthy ingredients such as canola oil, cornflower, soy flower and high fructose corn syrup. It’s up to you to look at the ingredients and see exactly what types of grains are being used in your product. – Made with whole grains – Probably not any better for you at all, since only a touch of whole grain is added to the product. – Wheat flour or 100 percent wheat – It may sound to be good, but all this really means is that wheat flour is being used. Instead, you should look for WHOLE wheat flour. – Multigrain – Chances are, the product uses refined grains, so there are no additional health benefits. You want to look for WHOLE grains, not a blend of refined grains. Don’t be fooled. Turn the package over and look for the first ingredient to be whole grain or whole wheat flour. If it doesn’t say ‘whole’ then you can assume it’s refined. Additives like sugar or corn syrup shouldn’t be listed as a main ingredient either. Also look for products where the grains and seeds are showing, such as in breads. Low-fat and fat-free products often have a great image to them. There are some products that you’re better off just eating less of instead of opting for their low-fat form, such as dairy products. But most other products deserve careful attention, as you’re basically trading out fat for high levels of sugar and additives. This is exactly why you should always use caution when buying anything with a fat-free label. Flavor comes from fat, so if a product removes this, it will impact the product’s taste. Therefore, you can assume that extra sugar and sweeteners are being added to bring the taste back, and these sugars add a lot of calories to the item. So, you may not be getting as much fat from the food, but you’ll be getting way more calories than you bargained for. And as we all know, excess calories turn to fat, so you won’t be making any improvements to your diet by eating fat-free. And, many fat-free products use chemicals instead of natural sugar to flavor their foods. A quick glance at the nutrition facts and you may like what you see, but if you read the ingredient list, you won’t know what you’re putting into your body. The big picture is that you need to be conscious about the low-fat and fat-free products that you’re eating. In some cases, you may be better off eating the regular version, getting a bit more fat but sticking to natural ingredients. Artificial sweeteners have traditionally come in the cute little pink, blue and yellow sugar packets we see at restaurants. When added to food, they’re referred to as saccharin, sucralose, aspartame and rebiana. No matter what the manufacturers want you to believe, these artificial sweeteners are way sweeter than sugars and have undergone some type of chemical alteration before making it into your products. They have also been linked to some types of cancers and have negative side effects such as stomach upset. Furthermore, artificial sweeteners have an effect on the brain that make you crave sweet, unhealthy foods. There is also research that links these sugars with certain health conditions like Type 2 Diabetes. While you may be drawn to products that say they’re naturally flavored, these are the same as any other artificially flavored product. Instead, it’s best to stick to foods like whole fruits that have natural sugars in them, but even those need to be consumed in moderation. Granola and protein bars have a lot of appeal to them. They’re easy to eat on-the-go and they have claims of being made with whole grains, nuts and dried fruit. Now, they do have one advantage, and that’s the fact that they are portioned out. So even if you don’t have the healthiest snack in the world, a granola bar still packs in less than 150 calories and does work toward some healthy ingredients. The problem is that granola bars are packed with sugars, most commonly high fructose corn syrup, and are low in nutrients. They are often stuffed with a lot of additives and fillers, so those few dried raisins may be the only healthy stuff you’re getting. Since people generally eat granola bars for energy, they’re not really doing anything for their body. While granola and energy bars are marketed for being healthy and full of fiber, there are many better alternatives next to these over-sweetened bars.You’d be better off eating a handful of nuts and an apple or orange; you’ll get more energy and better nutrients from this snack. Chips have gained some of their positive reputation back since many are made from a few simple ingredients and can claim that they’re all-natural. We often think that all-natural foods are instantly healthy, which is why snack manufacturers are playing onto this image. If chips are an acceptable snack, then just imagine what veggie or multigrain chips can do for the body, right? Veggie chips are marketed for being healthy and having servings of vegetables, but they are really not any healthier than standard chips. After all, chips are made from potatoes, so what makes veggie chips better? The problem is that the vegetables used in these products are highly processed, so they retain little if any of their original nutrients. Not to mention, they add high amounts of salt.